The press is invited to the reception for the artists on Friday evening, January 7, 6 to 8pm. three blocks South of Ashby Avenue, in Berkeley. Patricia Sonnino is an architect and designer as well as a fine artist. Her work has been shown throughout the United States. turbulence to glimpse, just for a moment, the wonders underneath. others. At Garage Gallery she presents a group of “dot paintings,” inspired by patterns of the natural world. 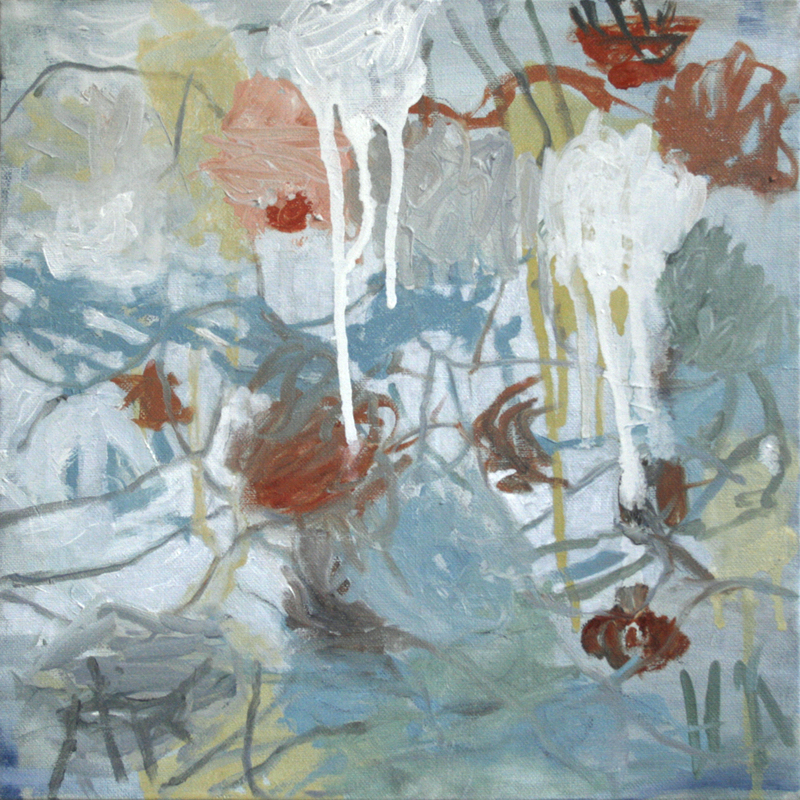 This entry was posted in exhibits, paintings, tide pools on December 21, 2010 by patssketchbook. 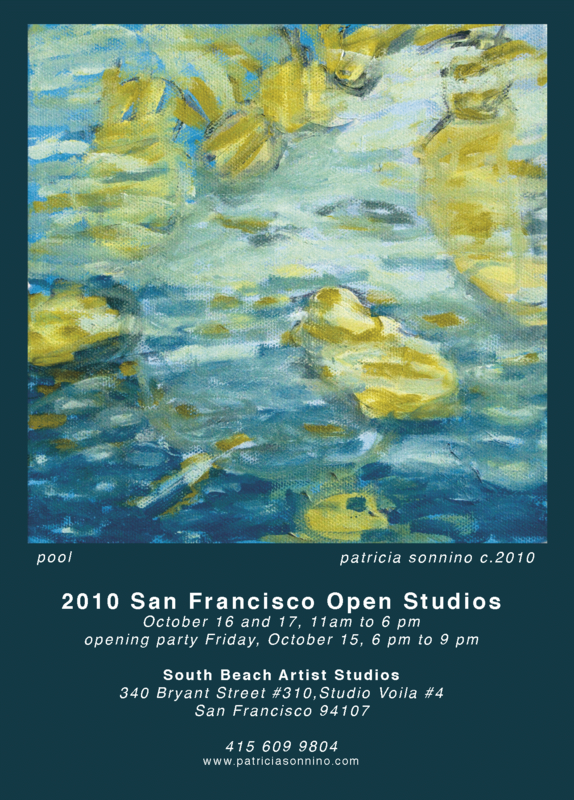 This entry was posted in open studios, paintings, tide pools and tagged exhibit, in the studio, paintings, San Francisco Open Studios, tide pools, watery on October 10, 2010 by patssketchbook. 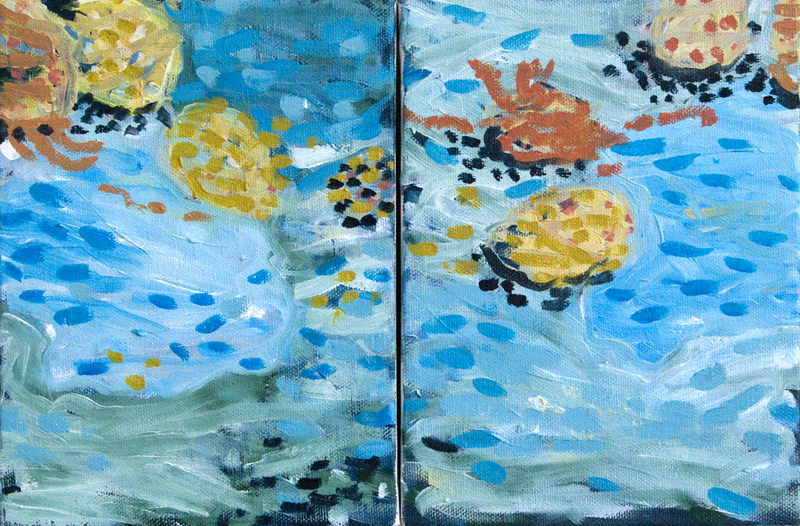 This entry was posted in paintings, tide pools on January 4, 2010 by patssketchbook. This entry was posted in paintings, tide pools and tagged slow painting, soft colors, tide pool on September 15, 2009 by patssketchbook. These are slow paintings; the painting process mimicks the looking. This entry was posted in paintings, tide pools and tagged in the studio, paintings, slow painting, tide pools on September 8, 2009 by patssketchbook.